Mobile communication for healthcare workers is a critical part of hospitals infrastructure. Many of these systems do not work well together, leading to difficulties regarding multiple communication devices with different usage area, unavailable or missing equipment, and alarm fatigue. Physicians and nurses often need information fast, and any delay between the decision and the action taken could cause medical errors. One suggested solution for this problem is to implement wireless phone systems. However, psychological theory and empirical evidence, both suggest that wireless phones have the potential of creating additional problems related to interruptions. The fact that hospital workers prefer interruptive communication methods before non-interruptive methods, amplifies the risk of overloading staff. The key is how to handle the balance between increased availability and increased interruptions. 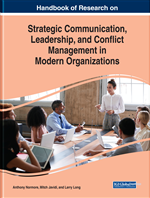 In this chapter, the authors present solutions and possibilities based on context aware communication systems that aim to reduce interruptions and thereby also alarm fatigue. Physicians’ and health care workers in general working conditions rely on mobility. They move frequently between in-patient ward, out-patient ward, emergency ward, operating theatres, etc., and often do not stay more than a few minutes in the same location. High mobility requires mobile communication systems, which enables physicians’ and nurses to communicate with colleges at any time and place, to avoid any delay between the decision made and action taken. Such delays could result in medical errors (Hersh, et al., 2002), and mobile communication systems have been suggested as a solution to improve communication in hospitals (Coiera & Tombs, 1998). The challenge when deploying mobile communication systems is to handle the balance between the increased availability and possible interruptions (Scholl, et al., 2007; T. Solvoll & Scholl, 2008; Terje Solvoll, et al., 2010, 2013). Most hospitals still rely on a mobile communication infrastructure with dedicated devices for each role, where pagers still are the most dominant mobile communication device.